One of the photos on this page shows the plant with gift wrap. This is not included in the price, however you may add gift wrap (for an additional charge of £4.95) during the order process. 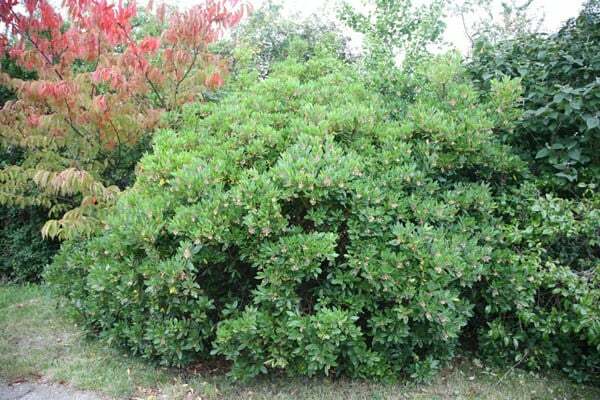 Arbutus is a spreading, shrubby tree with shredding brown bark and glossy bright green leaves. It is attractive in autumn when the white flowers, often tinged pink, are produced and the fruit from last year are turning red. The tree gets it's name from these fruit, which look like strawberries but sadly don't taste like them. An excellent tree for costal gardens or in a sheltered spot inland. I grow this as a small shrub in a patio pot. The white lantern flowers are followed by red fruits in the Autumn. The Blackbirds love these fruits. It looks lovely in the garden, very pleasing to the eye. It arrived on time and healthy with good colour and a good size. Excellent little tree, still enjoying it a year on. So pleased that I bought this little tree last year which has grown and flowered and continues to give interest to that part of the garden. This is my favourite tree at the moment: attractive evergreen leaves, profuse small clusters of bell shaped flowers at the same time as lots of strawberry-like fruit. It really brightened up the autumn days this year! And the fruits wete plentiful: they're a little seedy but taste good nontheless and next year I'll try to make some strawberry tree jam. Just a fabulous tree with year-round interest. Supplied as a healthy bushy plant with many stems. I am interested in creating a standard tree, but didn't have the budget for a mature standard. I'm going to see if I can get some of the stems going as standards. Very happy with the quality of the plant. I have this strawberry tree in a large pot, and am very pleased with the rate at which it has grown. The only downside is that I have not had any flowers on it this year, which I was expecting. This means there will be no fruit next year. I'm hoping I will get flowers next year, but if I don't, it is still a very attractive plant anyway. Much to my surprise, this has grown vigorously in its six months in the ground, having been planted in a relatively challenging location - between mature and hungry sycamores, relatively close to a boundary wall, drowned out during the summer by nettles, subject to strong south easterly winds and about 150m from the sea in south east Scotland. It's now about 2ft high and covered in red fruits in the middle of December. I look forward to it continuing to grow and give us a bit of screening from the neighbours and give everyone the pleasure of its pretty fruits. I have looked at the Arbutus for some time and at a bargain price could not resist any longer. The tree arrived safely packed, as Crocus always do, in really good condition and of a larger size than I had expected. It remains to be seen when and if it flowers but from the first glance it is a winner. My poor arbutus unedo has brown spots on the leaves, it's looking very sorry for itself. It needs planting (it's been stuck in a pot for over a year) which I expect will help it, but what can I do about its leaves (is it a fungal infection which needs chemicals or shall I just take all the affected leaves off - it'll be rather bare then). Hello, I suspect this is fungal leaf spot, which is usually a sign of stress. 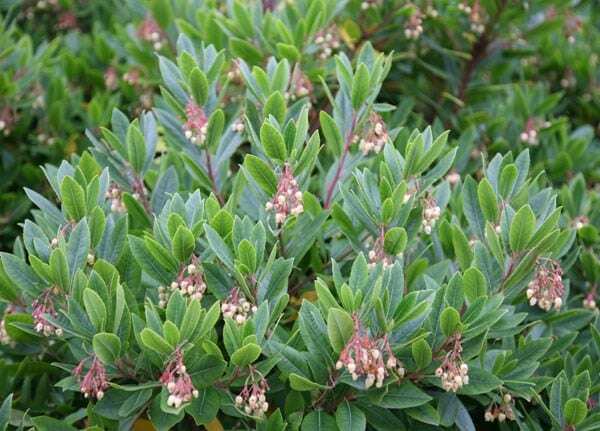 I would plant it out as soon as you can, and it should then put on lovely of lovely (un-spotted) new growth. Once it has done this you could then pick off the worst of the spotty leaves. What tree can I plant in a pot? I have quite a large patio area at the front of the house and want to place a large patio pot between the entrances/exits on my driveway. Ideally I would like something that will look good most of the year. Any suggestions?